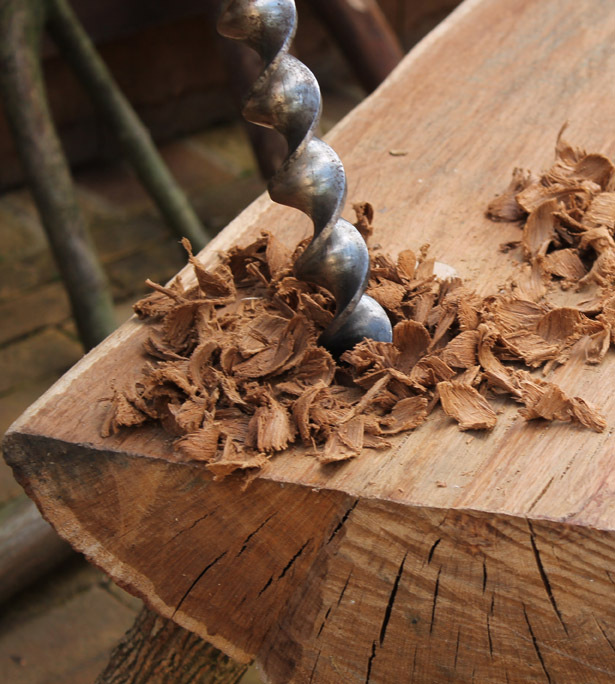 Learn the basics of green woodworking at Orchard Barn on this 2-day course. Select green timber from freshly-cut logs, cleave it with a froe and shape it with an axe before working it down to size on a shave-horse. Learn how to make accurately-sized green wood components and fit them together, allowing for the shrinkage of the wood as it dries. This course will focus on giving you the skills and knowledge you need to make beautiful things out of locally-sourced green wood.